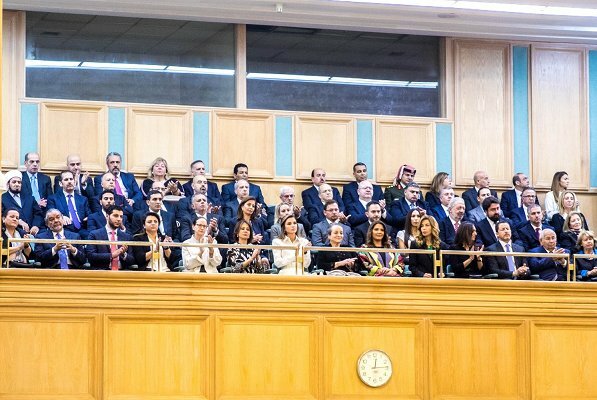 Today's was Jordan's speech from the Throne and the opening ceremony of the 18th parliament's third session in Amman. On October 14, 2018, Queen Rania of Jordan attended the opening of the 18th parliament's third session. 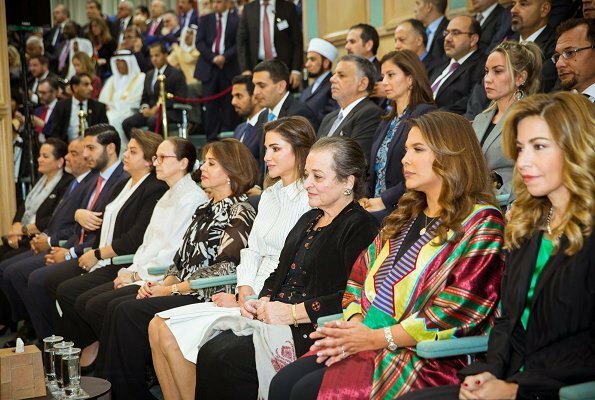 At the opening ceremony, Princess Alia, Princess Haya, Prince Faisal and his wife Princess Zeina, and Princess Rahma and her spouse Alaa Batayneh were also present. Q Rania looks very nice in this shirt dress. Simple and classy. I wonder what she does with her clothes bcuz I have yet to see her recycle at least 1 or 2 outfits. She doesn't repeat. Probably sells or even donates her clothes when she's done. Designer clothes can get good resale prices. And yet another new dress for Her Majesty? This is a dress I love. So many of her styles are too much for me. I really think the simplicity works for her.